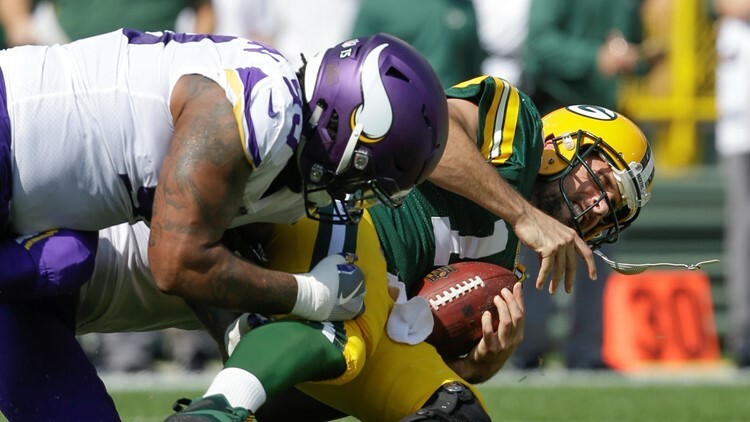 Green Bay Packers quarterback Aaron Rodgers is sacked by Minnesota Vikings defensive tackle Sheldon Richardson during the first half of a game at Lambeau Field in Green Bay, Wisconsin on Sunday, September 16, 2018. Sheldon Richardson: opponents have a pick-your-poison deal in handling the Cleveland Browns’ defensive front. 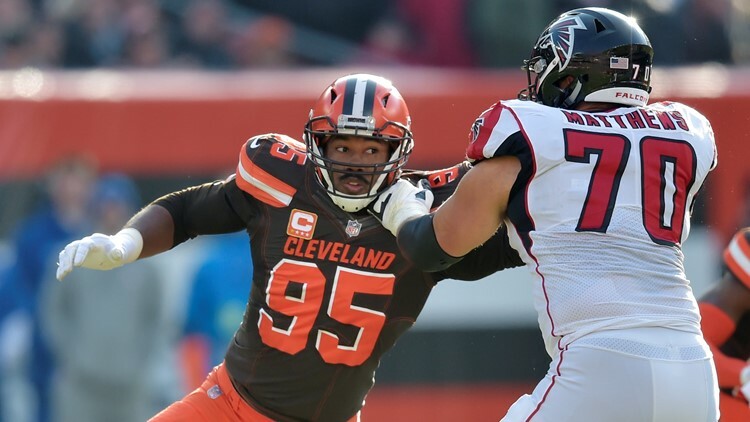 CLEVELAND — The Cleveland Browns were confident in the skills of defensive end Myles Garrett and tackle Larry Ogunjobi, but the front office decided to get them some help, through a trade and a free-agent signing at the start of the new league year earlier this month. The Browns got versatile defender Olivier Vernon from the New York Giants in a trade, and also, signed standout defensive tackle Sheldon Richardson to a three-year contract worth a reported $39 million. “It is a pick-your-poison-type of deal,” Richardson said in a conference call with the Cleveland media shortly after signing. 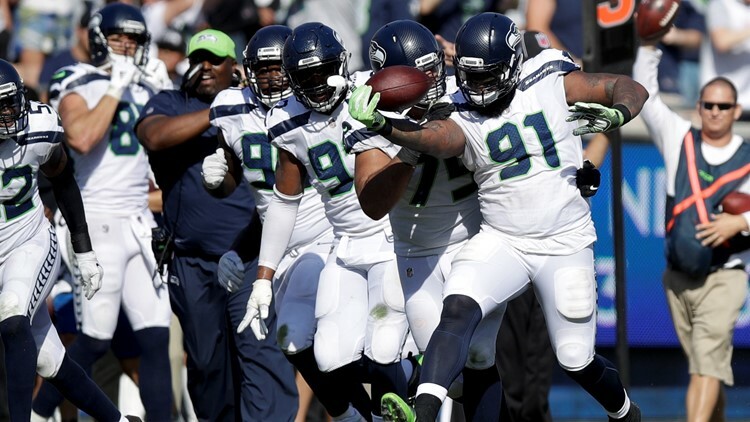 Seattle Seahawks defensive tackle Sheldon Richardson celebrates after his interception against the Los Angeles Rams during the second half of a game at Memorial Coliseum in Los Angeles on Sunday, October 8, 2017. 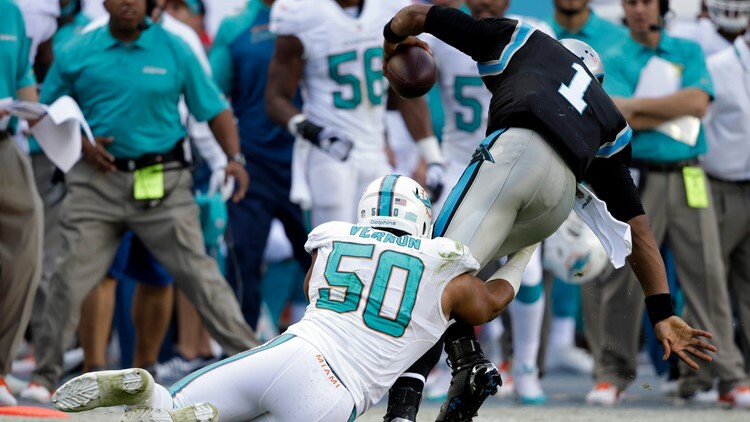 Over 103 games in seven seasons with the Miami Dolphins and Giants, the 6-foor-2, 270-pound Vernon registered 326 total tackles, including 232 solo stops and 94 assists, with 51.0 sacks, two passes defended and one interception. Vernon registered at least 6.5 sacks in each of the last six seasons. Vernon figures to transition back to defensive end after spending last season as an outside linebacker for the Giants, and will be a bookend pass rusher with Garrett. Fully healthy coming into the 2018 season, Garrett emerged as a leader for the Browns’ defense and registered 44 total tackles, including 35 solo stops, while playing in all 16 games for the team who selected him with the No. 1 overall pick in the 2017 NFL Draft. Of those 44 tackles, 13.5 were sacks on opposing quarterbacks for 75.5 lost yards and Garrett finished the year with the fourth-most sacks in a single season in franchise history. With 20.5 career sacks, Garrett registered the most by a Brown in his first 27 games, as well as the most by a defender in his first two professional seasons. This past year, Garrett ranked sixth in the NFL with the 13.5 sacks and fourth in the AFC with four forced fumbles. “Freakish athlete,” Richardson said. “Knows how to get after the quarterback. Not too much really bad to say about him. Reminds me of (Minnesota’s) Danielle Hunter. That is the best way I can put it. That is splitting hairs comparing the two. Cleveland Browns defensive end Myles Garrett (95) rushes against Atlanta Falcons offensive tackle Jake Matthews (70) in the second half of a game at FirstEnergy Stadium in Cleveland on Sunday, November 11, 2018. Although the Browns have made a lot of improvements on paper with their free-agent signings and trade for Vernon and Pro Bowl wide receiver Odell Beckham Jr., Richardson knows there is plenty of work to do before the players get to where they want to be. “We are trying to make (the playoffs) and win the division,” Richardson said. “You can’t do that right now sitting down in jeans, vests and sweaters. We have to put actual cleats on. I really do not want to predict the future or anything like that.